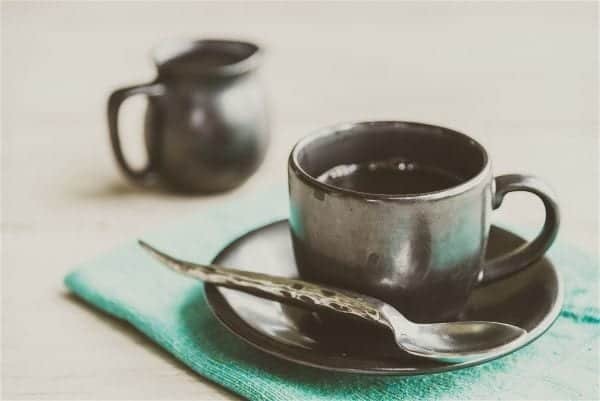 » 10 Tips to Get Used to Black Coffee and Never Go Back! 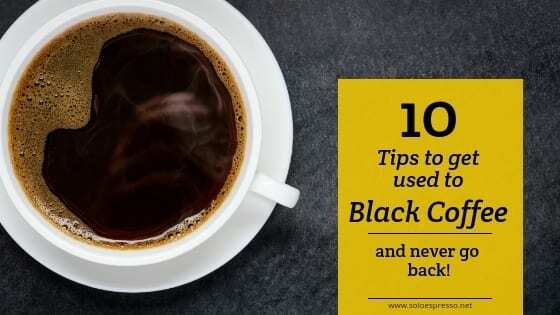 10 Tips to Get Used to Black Coffee and Never Go Back! 9 - The Process: How Fresh is Your Coffee? Can You Do it Instantly? Do you believe sugar and cream are synonymous with coffee? What if you’re missing out on one of the best taste sensations you’ll ever have? Black coffee is a favorite of many and not only among coffee connoisseurs. These coffee drinkers were simply privileged to be introduced to this delectable drink. If you just pulled a face thinking you can’t imagine black coffee as tasty, this article is for you. Let’s summarize the facts and help you enjoy black coffee version too with these 10 helpful tips. This may seem a daft question. Of course black coffee doesn’t contain milk, right? But perhaps it’s important we clarify the definition so you can appreciate the information below. The coffee can come from various brewing processes such as a French press, a coffee machine, pods or be a shot of espresso. The latter is traditionally enjoyed without any cream but some people do prefer to add it. Now the challenge is to go without it. However, for the purpose of this article—and the ultimate enjoyment of coffee — you should consider one additional option. Black coffee is at its best in the absence of sugar or sweeteners too. That’s when the real favours can be tasted optimally. Will you take up the challenge and try coffee without either of these substances? For such a huge change you need motivation, right? Here it is: Taste. When you add any other substance to your brew you alter the taste.  The flavour of coffee depends on oils and certain chemicals extracted from the beans. Anything you add to that mixture will interact with the oils. These changes mean you never enjoy what the original bean actually tasted like. You may love the creaminess or sweetness of the coffee but this could be covering up the flavors, aromas and body of the particular brew. If you decide to go without it you may discover even better taste sensations. Apart from the taste there are several benefits that come with trying this change. These are enough reason to consider trying something new. 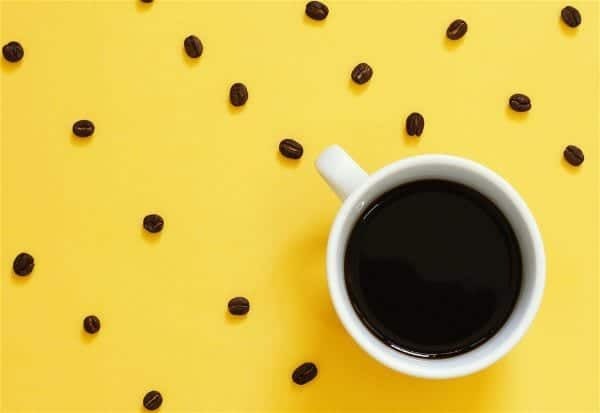 If you have health concerns or you’re looking for a healthier lifestyle you’ll be happy to know black coffee has fewer calories than the alternative. That small amount of milk and sugar adds up to many calories over time. You could spare yourself some weight problems simply by making a small adjustment in daily intakes. Drinking black coffee means you can enjoy your brew any time, any place. You’re not dependant on milk and sweeteners so if you run out of them at home you can still enjoy your cuppa in the morning. While coffee grounds are pure—especially if you grind them yourself—the milk and sugar products are laced with additives. You can spare your body a few of them by cutting them from your diet. This could even affect your budget as you’ll use much less cream and sweetener each month. Here are more tips to brew healthier coffee. Ready to try or does it seem too daunting an adjustment? We’ve got some tips to help you make the change. One of the main reasons people stick to their types of coffee is because of comfort zones. You know what that next cup will taste like and you don’t want to attempt change. But change is often easier when you take small steps. Instead of taking cream and sugar off the menu entirely you can simply cut down on how much you use. Use ½ teaspoon less sugar and take half the milk you usually use. Drink your coffee this way for a week. Follow this process until you reach the point of using none of these anymore. By that time it should feel as if you’ve always taken your coffee black. But before you settle on one you may want to try the next tip first. If you’re used to coffee a certain way you probably always order the same thing. While you’re preparing to change it’s an ideal time to experiment with different coffee options. You should play around with different options and of course beans — or grounds — to find the brew your palate enjoys most. If you find a brew you prefer you’ll want to recreate it. A huge role player here is the kind of roast you use. Different roasting processes and roasting times result in different aromas even if you use the same original beans. There are no standardized roast names but descriptions range between light roasts and dark roasts. Roasting also affects the caffeine percentage so for instance if you need a bean with less caffeine you can opt for a dark roast. To enhance this experimental part of your process—and you want the best results—you can also consider a new brewing method. Perhaps you’ve tasted black coffee before, didn’t like it and vowed never to do it to yourself again. But what if the metallic taste or the bitterness you remember was because of the brewing method used that day? The amount of time the coffee has contact with the grounds affect the taste. In a French press there is a long brewing period while an espresso goes rather quick. There may be build up inside a machine which will affect the chemical process. Plastic and metal machines tend to affect brews differently. Therefore you can’t assume what your next cup of black coffee will taste like. Finding the machine and method that make your ideal brew will take a few tries. Despite these tactics those first few cups will taste unique. You don’t want those experiences to be negative because it may put you off the change altogether. So here’s a tip: Don’t drink your coffee super hot. Coffee tastes slightly different when cooled down. Letting it stand a bit will help you taste more of the real flavors you’re after. So if you want to be impressed by black coffee because the flavours are so pronounced use a little patience and don’t drink it straight out of the pot. I bet you can already smell that coffee aroma even before a machine starts brewing. That’s the power of our minds. Unfortunately it can even lie to us. Neuro science has proven how big a role visual impulses play on our perception. If you associate your favourite mug with your normal coffee you’ll expect each brew to taste the way you’re used to. If you want to try something new you’ll have to get a new mug as well. If not your brain will essentially be disappointed each time you take a sip because it’s not tasting what it’s used to; even though it’s a very tasty brew. In addition colors purvey meaning. A white mug can trigger the brain to experience coffee’s bitterness more intensely than when you’re using a transparent mug where you actually see the coffee. As stated above this will be a huge mind shift and you need to help your brain feel comfortable with the change. If you’re really struggling to wave sugar goodbye the answer lies in substitution. This will be a healthier option which you can keep using for a while and eventually phase out in the same way you will cut down on sugar. These substances carry much less calories so it won’t impact your health negatively as long as you use unsweetened versions. Whether you want to drink black coffee or your normal brew it may be wise to exchange sugar for these anyway. Perhaps the reason you haven’t tried black coffee is because you imagine the overbearing bitterness. Firstly you must understand bitterness relates to various factors. You can regulate it with some of the methods mentioned above such as brewing or using fresh beans at all times. But here’s a quick way to counter it: Salt. Add a pinch at a time until you find the coffee to be more amenable to your palate. We just mentioned bitterness and this is simply one of the factors that relate to how fresh the coffee is you’re using. Despite the sealed packaging you purchase grounds in that coffee will start going stale from the moment it’s packaged. By the time you use it at home it doesn’t taste as good as freshly ground beans anymore. And of course it deteriorates even more each day the opened pack is in your kitchen. Make sure you get less bitter and more flavourful brews by only using fresh coffee. That means grinding beans yourself. And what do you do each time you’re done? Clean it after each use to ensure no grounds are left over. Monthly—or at least every three months—you should give it a thorough cleaning and descaling. If a high end machine signals it’s time for descaling you can’t ignore or postpone it. Any build ups or left over grinds will affect your next brew. Here is more about cleaning the coffee machine. Following these steps you could be enjoying black coffee in a few days, weeks or months. There is one other alternative: Going Cold Turkey. It may be a shock at first but all you need is for your palate to adjust. You could be enjoying the ultimate cup of black coffee—with no additives to take away from the real taste—by this time tomorrow. Will you try? Here’s something you should know about the world of coffee: If there are a few people following a trend there’s usually an important reason for doing so. 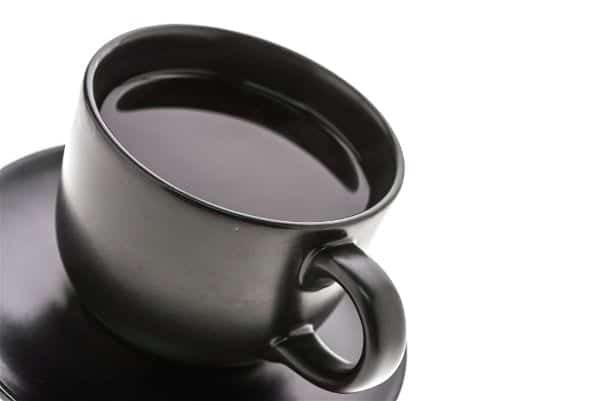 When it comes to drinking black coffee there is definitely more than one reason. You can use health reasons, your palate or curiosity to motivate you. It will be worth it. And remember: all it takes to enjoy an acquired taste is to push past the initial impressions. Don’t let your mind keep your palate from experiencing something sensational. As a bonus it could help you towards a healthier lifestyle. Will you stay behind or start partaking in the advantages of drinking—and eventually enjoying—black coffee? And remember to come and share your experiences once you’ve tried this. Perhaps you have an even better tip of how to get use to black coffee? Leave your thoughts in the comments to help others enjoy it too.